I'm obsessed with coloured pens of all sorts. At the moment I want all the sharpies and I know I'm always going to have some reason to need pens of all colours which is why I'm wishlisting highlighters, sharpies and those amazing Staedtler fine liners. After the Viking Arty Party I've really been into the idea of customising my stationery and I really want some arch lever files (which I need anyway) to make my own and customise. I like these Kraft ones - perfect for a crafty project! Next year I'm going to need a ton of post-it notes too and I'm pretty sure I'll be the post-it lady by the end of it, but I don't want to go for regular fluorescent colours. I'd love some pastel ones and in lots of shapes and sizes please. There's so much on this wishlist I couldn't possibly talk about it all, but as stationery is - it's all self explanatory. I do have to mention that chicken stapler though - just because it's a chicken and a stapler... I love it. Have you got a stationery obsession like me? Where do you shop for your stationery? That stapler is so cute! 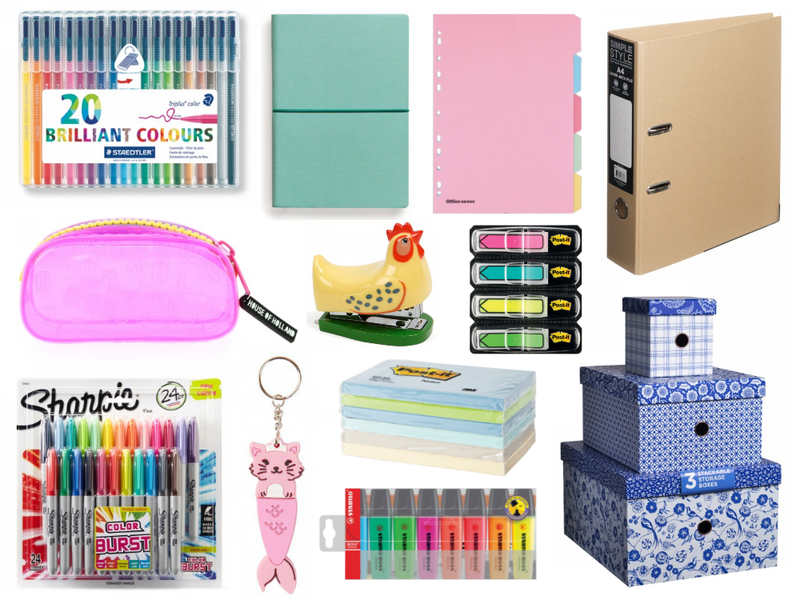 I'm such a stationery junkie, everything in your wishlist is so cute! I used to absolutely love buying stationary when I was younger! I still love it now! I don't know what it is but it just makes me feel that bit more organised when I buy new stationary. I recently just bought a new 2016/2017 diary and a nice new note pad as my other ones are running out of paper! Think I need a stationary clear out though to be honest!